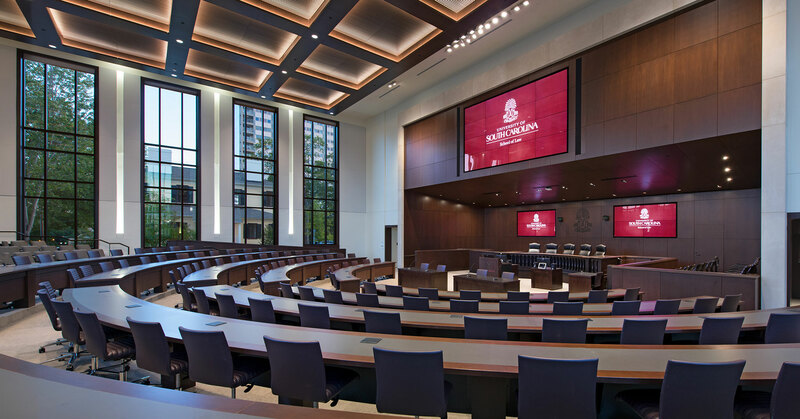 At over 188,000 square feet, the School of Law is the focal point for the legal community within South Carolina. 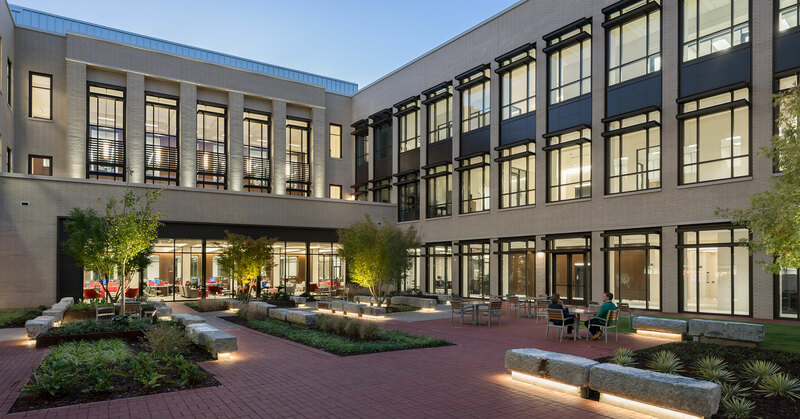 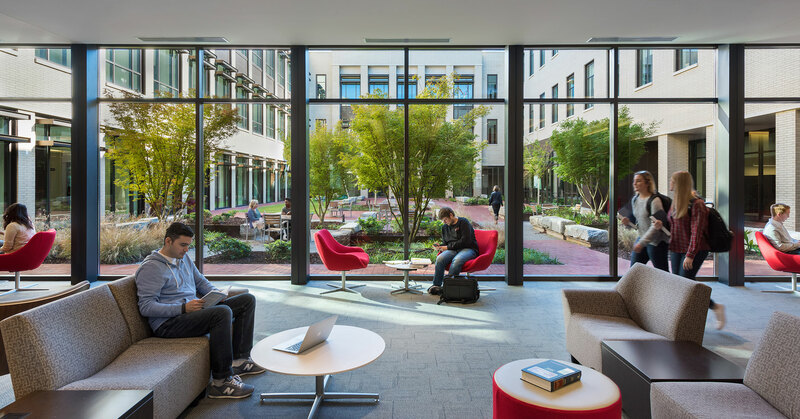 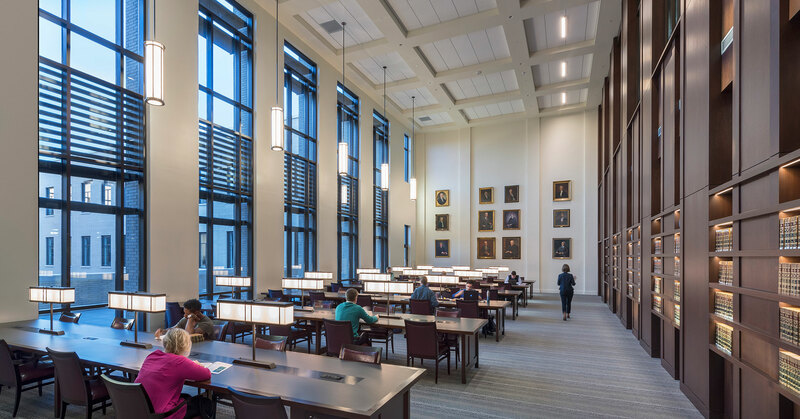 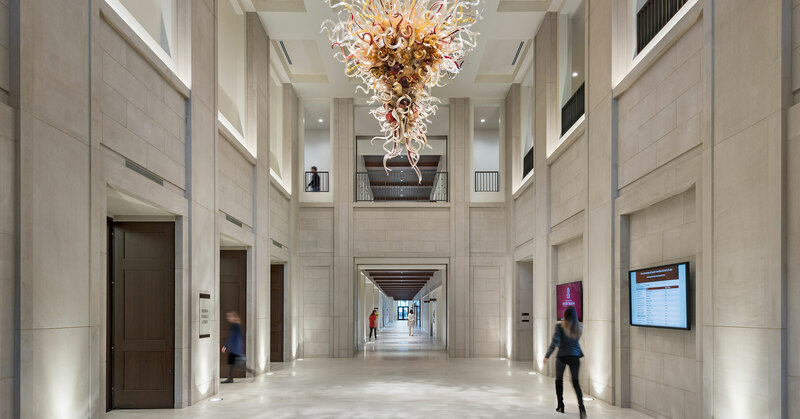 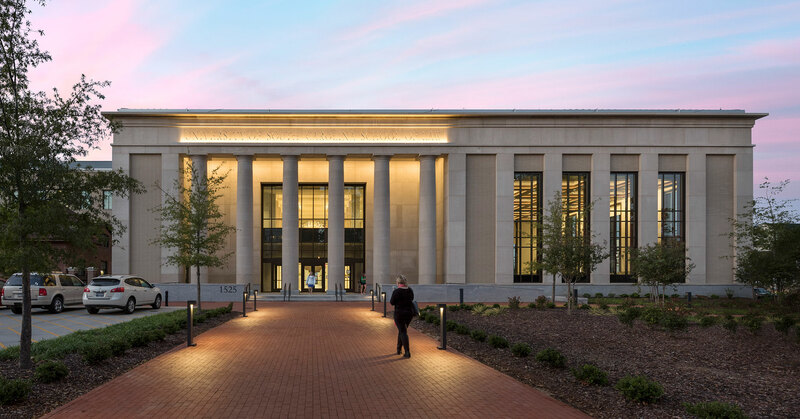 The multi-story, state-of-the-art law library is highlighted by a signature reading room overlooking the courtyard campus and includes innovative spaces to establish the USC School of Law as a premier program. 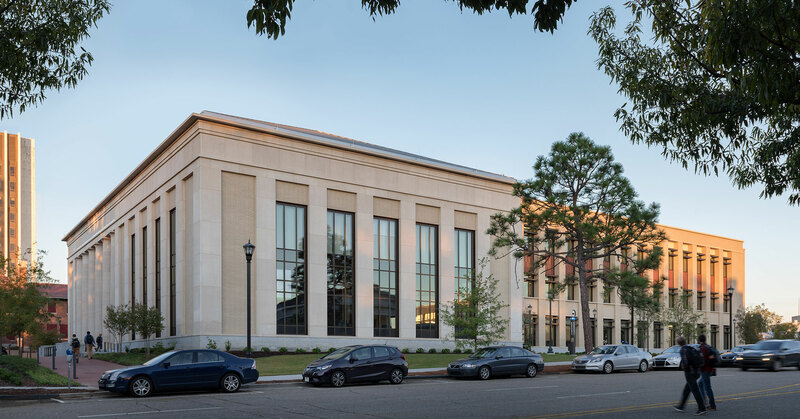 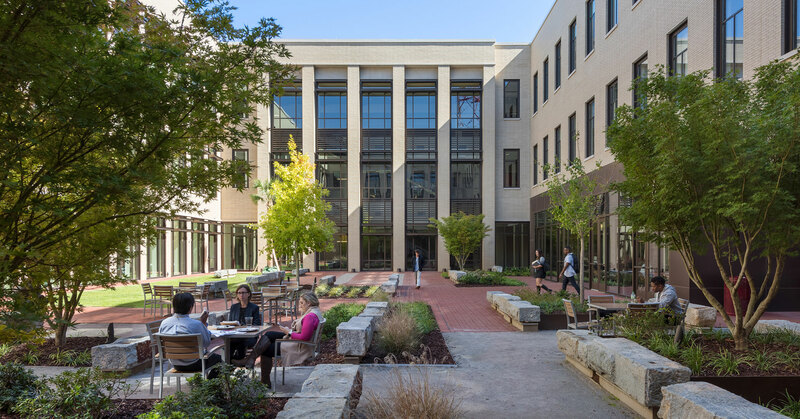 Beyond its primary mission as the center for education for our state’s future attorneys and legislators, the facility provides a home for legal research, continuing education and public outreach. 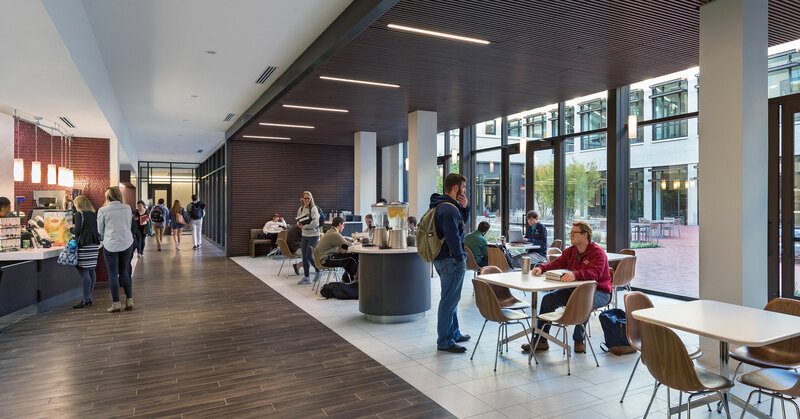 The entire city block complex was been designed by a team of architects and engineers led by BOUDREAUX and SmithGroupJJR.